Kris L. updates us on his Atlantik LED Pendant lights. 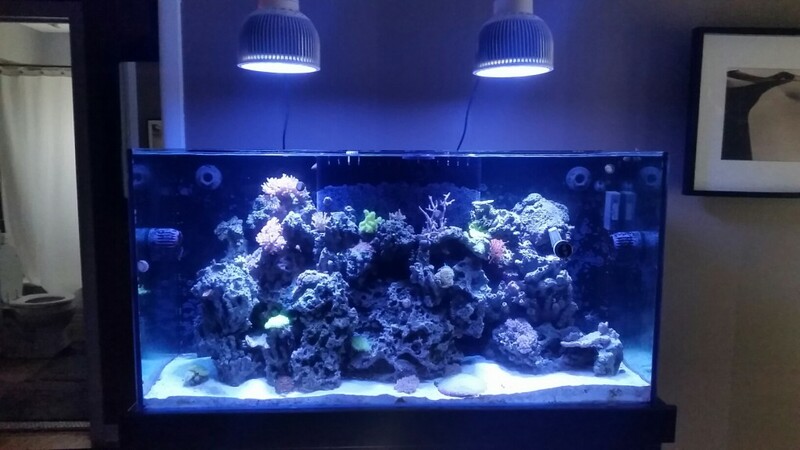 Back in October one of our clients picked up two of the Orphek Atlantik Pendant LED lights for his 90 gallon coral reef aquarium. He chose the lights due to their wifi control, great coverage and consistent PAR. After installing them on his tank Kris found that they were everything he wanted. Since then Kris has maintained contact with Orphek throughout the acclimation period and is beginning to see results in his tank. 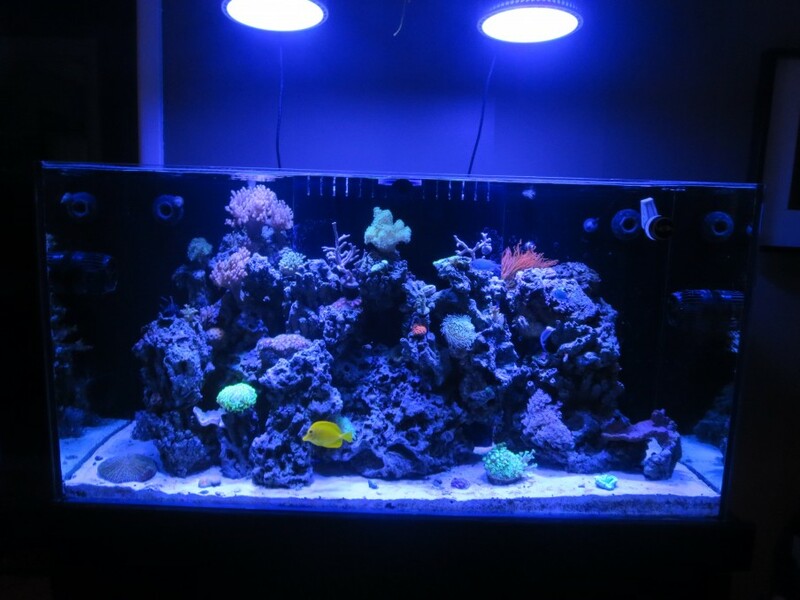 He enjoys the ease of access to his rimless tank and the beautiful fixtures fit well in with the modern theme in is his living room. Initially, Kris hung the lights consistently spaced across the tank and noticed a slightly dimmer area between them. This was cured by adjusting the lights so that they were 2 inches close to each other. As you can see in the 2 photos below the adjustment cured the issue. 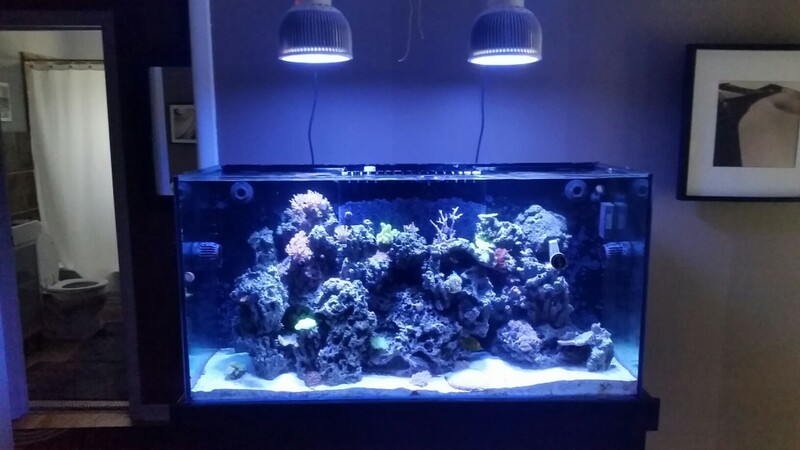 Kris has now decided to upgrade to a 120 gallon aquarium and we got the opportunity to visit his home and see the current tank in place before it’s replaced by the new one. The tank looks beautiful and Kris’ plans for the new 120 gallon peninsula style tank are epic. 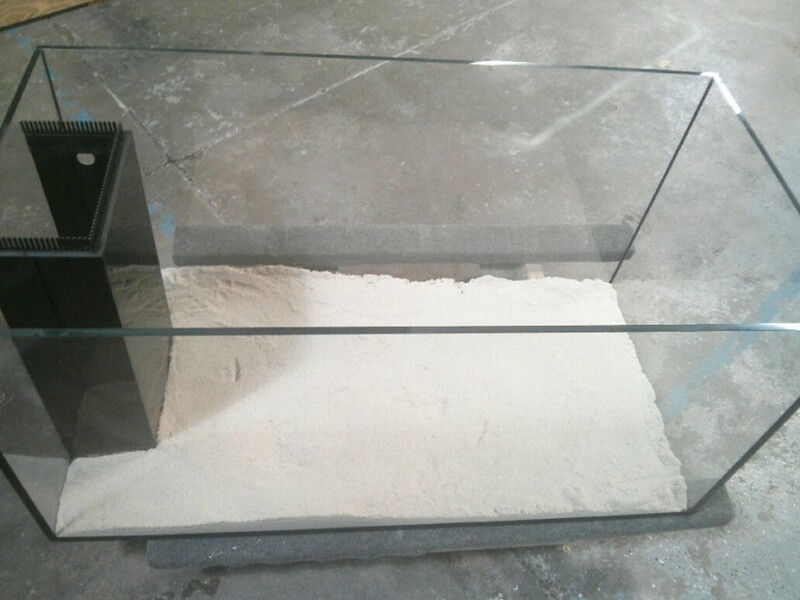 The tank is a 120 gallon 48 inch x 24 inch x 24 inch rimless low iron glass tank imported from Germany. 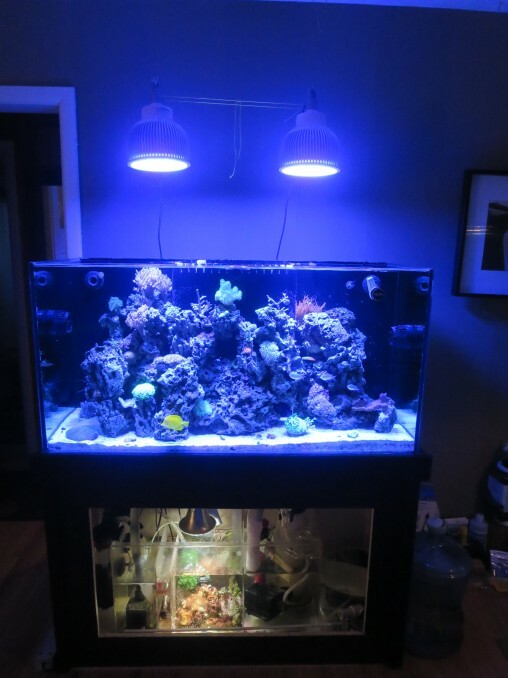 Kris plans to move the 2 Atlantik Pendants over to the new tank once it’s up and running. The welded steel stand is powder-coated with lime green powdercoat and metallic silver flake. The resulting glow under actinics is stunning with a bright green glow and tiny flecks of blue reflections off the metallic flake. 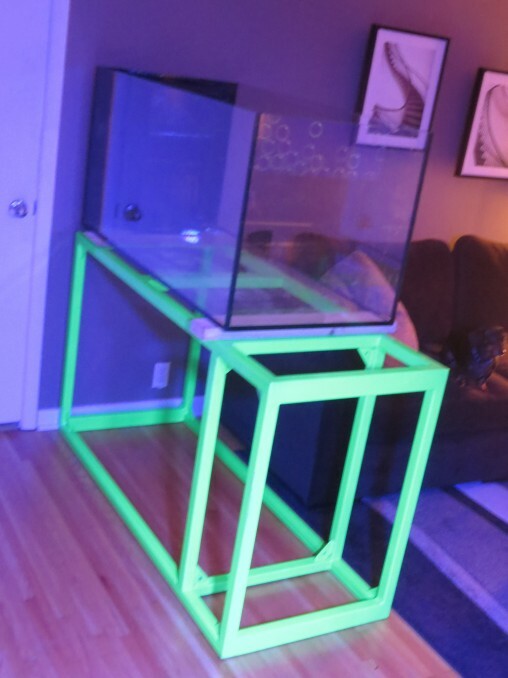 The stand will be skinned by a cabinet maker and internal LEDs will light the sump area up and make sure it stays a show piece. We look forward to progress updates from this build and wish Kris all the best success. Thanks for being part of the Orphek family Kris.